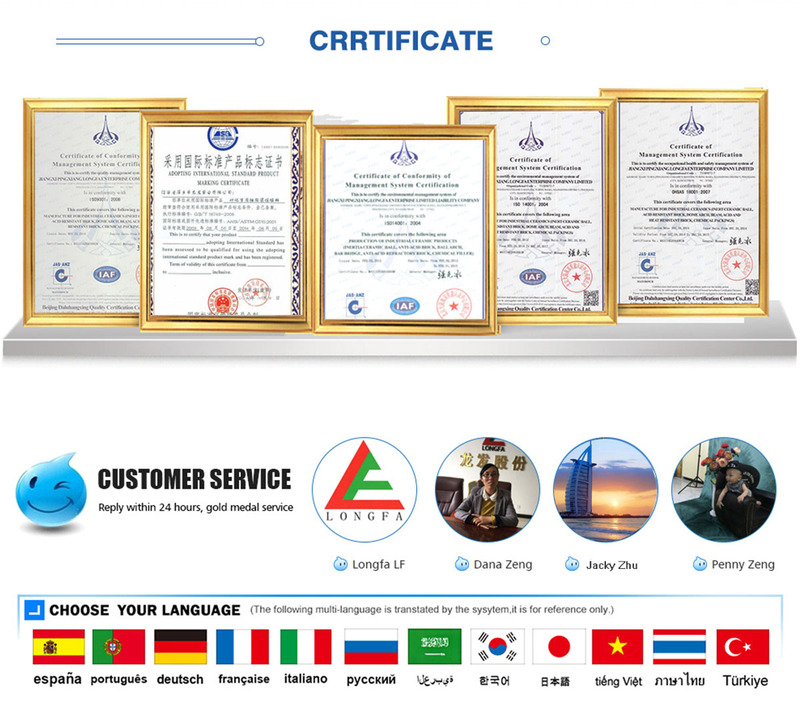 Jiangxi Pingxiang Longfa Enterprise Co., Ltd. established in 2001, is a main and large industrial backbone of the private joint-stock enterprises. Our sales volume in 2007 was over 300 million Yuan, and our manufacturing ability of industrial ceramics is in a leading position in this industry. Now there are 3 production lines of energy-saving and environmentally-friendly products, a spray drying tower, tunnel kiln production lines, a spray drying tower, three 800-ton hydraulic machine, three 20-ton ball mills, and seven 8-ton ball mills in our company, and our industrial ceramic production capacity has reached 100,000 tons. Our products include acid proof floor tile, acid ceramic plate, chemical-stuff, bottom support, reaction tower accessory, environmentally-friendly ceramic, chemical equipment and accessory, and coal mining. "Longfa" ceramics are the leading products and also are the well-known brand-name products. Our company covers an area of 500 acres, and the total number of employees has reached 600 people. We have been awarded as the "Contract-Obeying Trustful Unit". The business purpose of Longfa is "Integrity-based, practicality, and innovation". 'To seize opportunities and steady development' is Longfa's overall development idea. 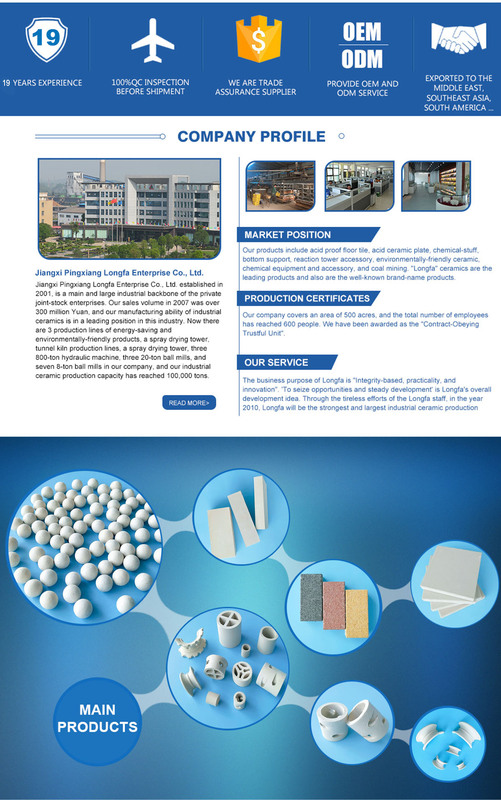 Through the tireless efforts of the Longfa staff, in the year 2010, Longfa will be the strongest and largest industrial ceramic production base in the country and the scientific research base of industrialization. We will have greater influence on enterprise groups in the same industry.